"The Baker" will be screened as part of The Connecticut Film Festival. The screening, at The Palace Theater in Danbury, is a fundraiser for the Bethel Library. The Connecticut Film Festival and Bethel Library will screen the film "The Baker," a killer comedy. "The Baker," the festival's 2009 Audience Favorite, will be shown at 7:30 p.m. Thursday, the third night of the Connecticut Film Festival at the Palace Theater in Danbury. Doors will open at 6:30 p.m. Proceeds from the special screening will benefit the Bethel Library building fund, to help pay for completion of the library's second floor. A party with music by the band Milton and hors d'oeuvres, beer and wine, plus non-alcoholic beverages courtesy of The Daily Fare Catering in Bethel and PALM Beer will follow the sreening. "The Baker" is a killer comedy about Milo, a professional hit man living on the edge. When failing to fulfill a contract for the first time, Milo escapes the city to avoid the wrath of his employers. He hides in a remote rural village where the locals mistake him for the new baker. However, Milo, who can't cook to save his life, soon discovers that you can't always have your cake and eat it. 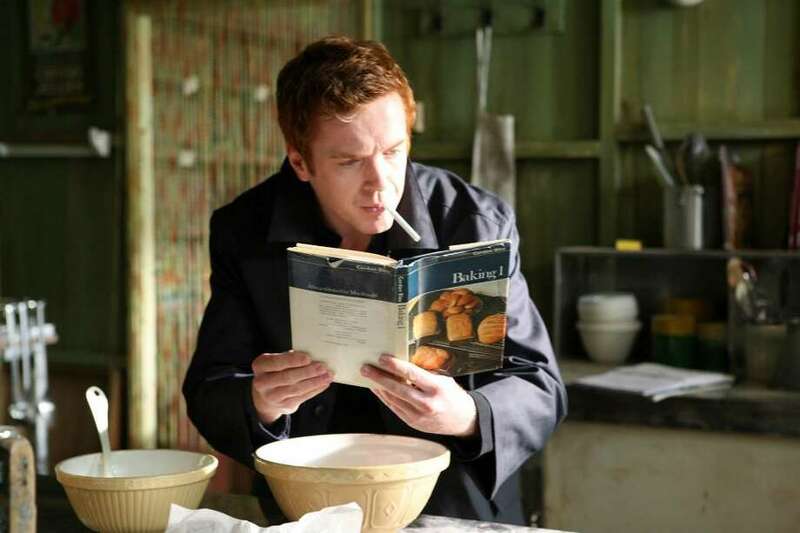 "The Baker" features the cream of British talent including Damian Lewis ("Band of Brothers," NBC's "Life"), Michael Gambon ("Harry Potter"), Kate Ashfield ("Shaun of the Dead") and Nikolaj Coster-Waldau ("Black Hawk Down," "New Amsterdam"). Tom Carruthers, executive director of the Connecticut Film Festival, said "The Baker" delivers laughs in classic British style. "Some parts of it are almost Monty Python-like," he said. Jane Bickford, chairman of the Bethel Library board of directors, agreed with Carruthers' assessment. "To me it's a cross between `Grosse Point Blank' and Monty Python," she said. The board is trying to raise $400,000 to complete the library's unfinished second floor. Bickford has volunteered at the Connecticut Film Festival in the past and is a neighbor of Carruthers in Bethel. She thought teaming with the festival would be a great way for the library to raise much-needed funds. The Bethel Library is one of several nonprofits the festival is teaming up with this year. On Tuesday, the "The Wrecking Crew" screening and party will raise funds for Ability Beyond Disability. Then, on Wednesday, the world premiere of "10 Mountains 10 Years" will be a fundraiser for United Way of Western Connecticut. Carruthers said the festival is offering an alternative to standard fundraising activities. "It won't be the typical fundraising event," he said. "It's going to be a little different. Not only can (nonprofits) make money, they can increase their visibility." Tickets to Thursday's, screening of "The Baker" are $50. Tickets are available at www.bethellibrary.org and at www.ctfilmfest.com or at the Bethel Library. Doors at The Palace Theater in Danbury open at 6:30 p.m. and the film starts at 7:30.